The Siv & Carl Malmsten Memorial Foundation owns the intellectual property rights from Carl Malmsten. The purpose of the foundation is to promote Carl Malmsten’s pedagogical vision of the great value of craftsmanship linked to artistic flair in order to engage all human senses and live and work in harmony with nature. 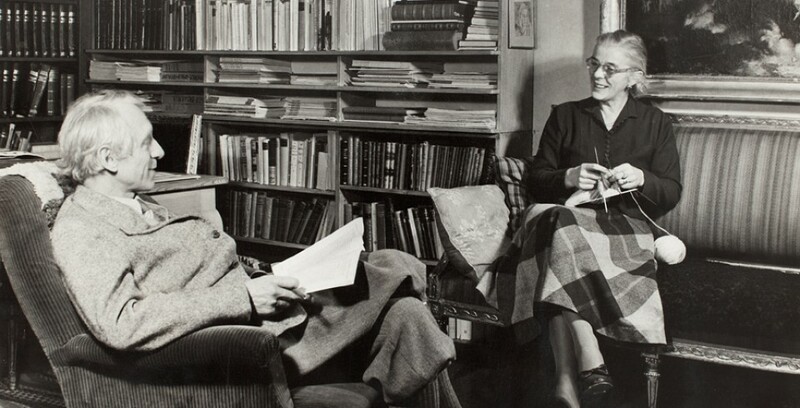 The background to the Foundation is found in the joint will of the spouses Siv and Carl Malmsten. The will makes clear the son Torgil would inherit the controlling interest and ensure the continued running of “the Malmsten company” (Carl Malmsten AB). Siv survived her husband by fifteen years and died in 1987. Torgil Malmsten then took the initiative to collect all remaining shares by purchase or as donations from relatives, as well as separating the entire company for ownership by our Foundation. During Carl’s lifetime, the company was the centre for all his educational, cultural and commercial activities. The intellectual property rights that were generated within the company, largely by way of drawings and prototypes, therefore provide the basis for the Foundation’s licensing activities. The store business on Strandvägen in Stockholm, with the exception of the intellectual property rights, was sold by the Foundation in 1999 to the grandson Jerk Malmsten. Malmstenbutiken AB is now a licensee of the Foundation. The Foundation bases its economy on royalties from licensing its intellectual property rights. The Foundation’s wholly-owned subsidiary Carl Malmsten AB is responsible for the administrative and financial management and negotiates contracts with licencees that have their own manufacturing and marketing of furniture and textiles.